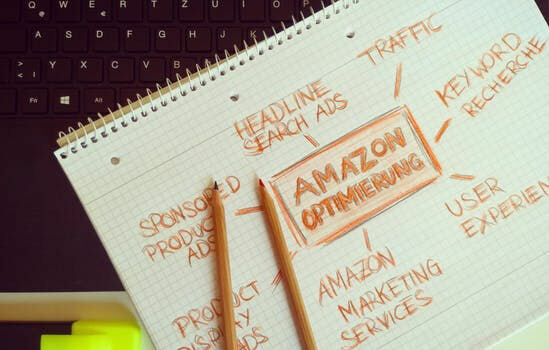 Is the Amazon affiliate program a waste of time ? I signed up to the Amazon affilate program in 1997. I am probably one of their most long lived affilliates. Right at the start the affilate program was excellent, Amazon were still a young company who were not a household name. Their strategy in those days was to become known and to get as many people to sign up as possible. I remember one Christmas maybe around 1999 when I got a bonus of $2000 for getting new customers to sign up. The bonus was so generous I even got some friends to sign up to Amazon to buy a book and I would pay them for the book. Amazon afilliate program was the first way just a normal person could publish content and earn some extra cash. This was before blogging and You tube. Right at the start I would regularly earn over $1000 per month. I must have sold millions of dollars worth of books and other merchandise on Amazon. At the time that Amazon was paying out well I had loads of content with Amazon links, book reviews, articles about things that could be bought on Amazon. A lot of this content still exists on my websites. This is how I have up to date stats on the Amazon affiliate program. Many years ago lots of websites had bookshops and many links to Amazon. Alas, the Amazon bounty years did not last. They because a household name and do not really need afilliates and now pay peanuts. The income has gone down over the years and it is now derisory. I still have some content with links to Amazon. I just logged into Amazon to see how much I have earned this year. It is now December 16th 2017. Below is a screen shot of the stats for this year. (you might have to click on it to see it better) As you can see (in 2017) I have sent them 4052 clicks and earned $8.66. I have just searched internet for the average click through rate on links. It seems that 1% (one in every 100) is a good average. So my 4052 clicks represents about 405 200 page impressions. Do you know how difficult it is to get 405 200 page impressions? If that was views of a youtube channel that would earn about $400. On google adsense that could earn about $500. Compare that with $8.66 So my friends, in my opinion the Amazon affilate program is a total waste of time and if anyone leaves your site by clicking on a link to Amazon it will almost certainly be a loss of revenue. I am sure that Amazon do not really give a toss if affilliates exist or not. They have already won the household name battle. It is no surprise that something that was profitable in the past becomes a waste of time in the present. Apparently 70% of all jobs that exist now will be taken over by computers or robots within 10 years. Why am I even bothering to write this article. The google ads on this article will probably take 10 years to make 20 euros if I am lucky. Are we all doomed to earn nothing while people like Jess Bezos and Mark Zukerberg wallow in stupendous wealth? Every morning I read the Guardian on my smartphone. They ask for a donation but I never pay anything. The news is all about Brexit and Trump.